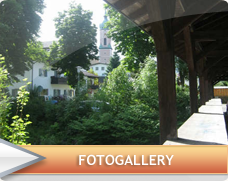 Our guesthouse lies just 3 walking minutes from the center of Garmisch and is yet quietly located. Hiking trails and ski areas are nearby. Parking is available outside the house. Comfortably furnished double and triple rooms with stunning mountain view (balcony), full breakfast, bathroom (shower, toilet), cable TV (LCD) and WLAN (Internet) expect you in our owner-managed guesthouse. Enjoy your stay in modern and comfortable beds. Whether you are planning a short-term accommodation or a relaxing vacation, here you will find not just beautiful rooms, but also a pleasant atmosphere. We look forward to your inquiry and hope to see you soon in our guest house in Garmisch.